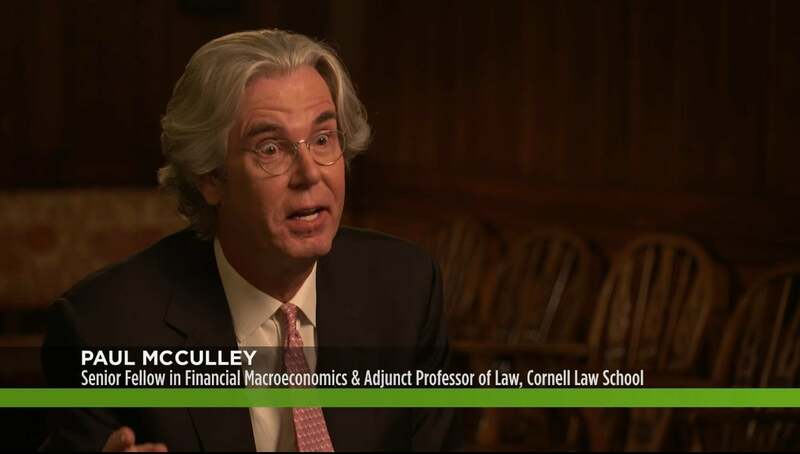 Former PIMCO strategist, portfolio manager, and Chief Economist Paul McCulley warned about the credit bubble years before it burst. What is he watching now? WEALTHTRACK #1540 broadcast on March 22, 2019. I think the economy is approaching the runway for a soft landing. The last time we had a genuine soft landing in our economy was in 95, 96, 97. The Fed had a tightening period a nasty tightening period in 94 95 and then they turned within six months from the last hike to the first GS and they did lubricate the runway for a soft landing and the expansion continued for several more years. Not a recession. That means kind of a slowdown and deceleration Those of us have who have forgotten what it was like in 95 96. Yeah it's a deceleration to a pace that is less a brilliant but is longer lasting. Now is this being kind of orchestrated by the Fed or is it just the way things are going to happen the way things are looking at how. I think it's a function of a number of factors. The expansion is old. It's approaching a decade right. And so therefore we don't have a lot of residual pan of demand certainly in bank not so it's old in time. But what history tells us is that expansions don't die of natural causes. At a certain age expansions die because of excesses that develop. And the two primary expansions ending excesses are inflation are excesses speculation on Wall Street. And sometimes you get both right and if you're getting excesses on Main Street. The labor markets too hot Kappel investments too hot just the concept of too hot disturbs me. But if it's too hot and you get an inflationary response in wages and prices then the Fed can lean on and to slow it down. Right. Conversely you can get excesses on Wall Street notably and credit that ultimately lead to a Minsky moment type of outcome. So in that sense the access is not leading to a recession because the Fed's trying to deal with it. That is because the bubble burst and you get the Fed having to respond to that like they did after the Great Recession in 2008 09. So we're seeing neither of them. Neither Romney or even on Wall Street. On Wall Street so therefore I don't have the predicates to forecast a recession and I breacher career I'm not getting them from a main street. The average person in America is finally maybe getting a 3 percent raise. If we going to call 3 percent raises in America access then there's something fundamentally wrong with how we're looking at the world so there is no reason for the Fed to shut down the expansion because the labor market is overheated. In fact I would argue the opposite of that from the standpoint of excesses on Wall Street. That's a bigger concern. It's actually a serious concern. And I think part of the normalization process the Fed's been doing for the last three years which looks to be about over now at two and a quarter I mean like all the late two and a quarter. So you think the normalization process is about over? Its just at a lower level than everyone was anticipating. Episodically someone like you who kind of were saying that's where it should be. Yes they did. Technically they put a neutral fed funds rate neutral policy rate rate has fallen dramatically over our lifetime including the most recent cycle we went all the way to zero. And then you come back to normal but normal is not 3 4 or 5 right. It starts with a two and end and they're at two and a quarter. Now I'm not saying that categorically they won't tighten again. That would be foolish of me. But literally the first meeting of the new year for the pharmacy they announced to the world they were.